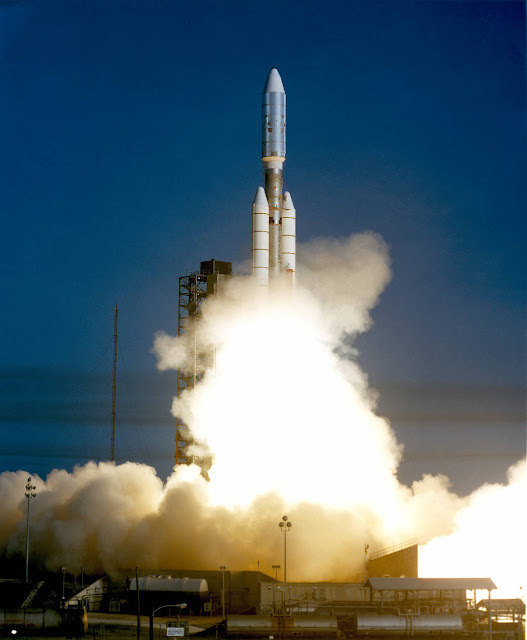 The Voyager 1 aboard the Titan III/Centaur lifted off on September 5, 1977, joining its sister spacecraft, the Voyager 2. NASA's Voyager 1 spacecraft launched atop its Titan/Centaur-6 launch vehicle from the Kennedy Space Center Launch Complex in Florida on September 5, 1977, at 8:56 a.m. local time. The twin Voyager 1 and 2 spacecraft are still operating and traveling where no spacecraft—or anything touched by humanity—has gone before. As we celebrate the 40th anniversary of the Voyager 1 launch, we reflect on the vision that inspired the mission, its greatest achievements, and its enduring legacy.